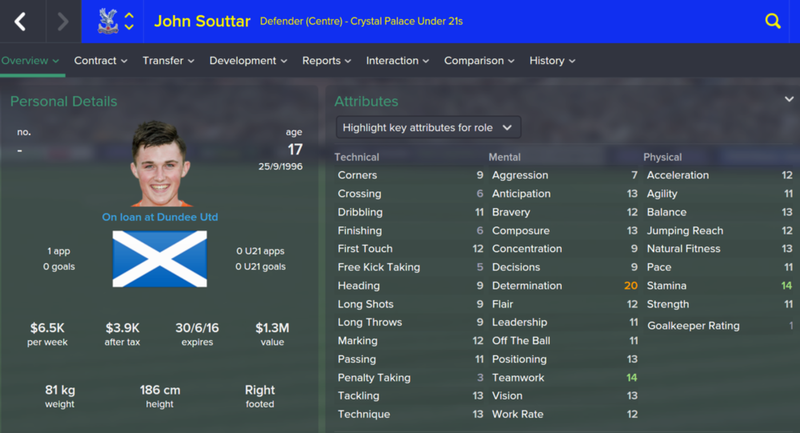 Welcome back to True Football Manager blog - a right place where you can always find a fresh FM story. 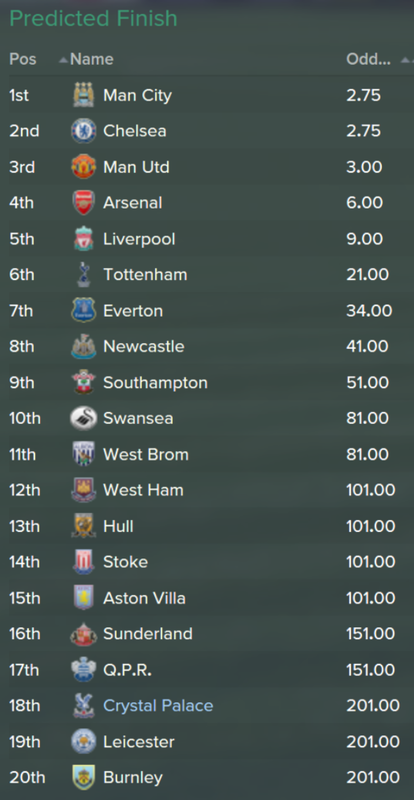 I have already played two first official matches with Crystal Palace but I am going to play 2-3 fixtures more and then come here with a report. At this point I'd like to share information about made summer transfers. There were no any revolutional squad changes. 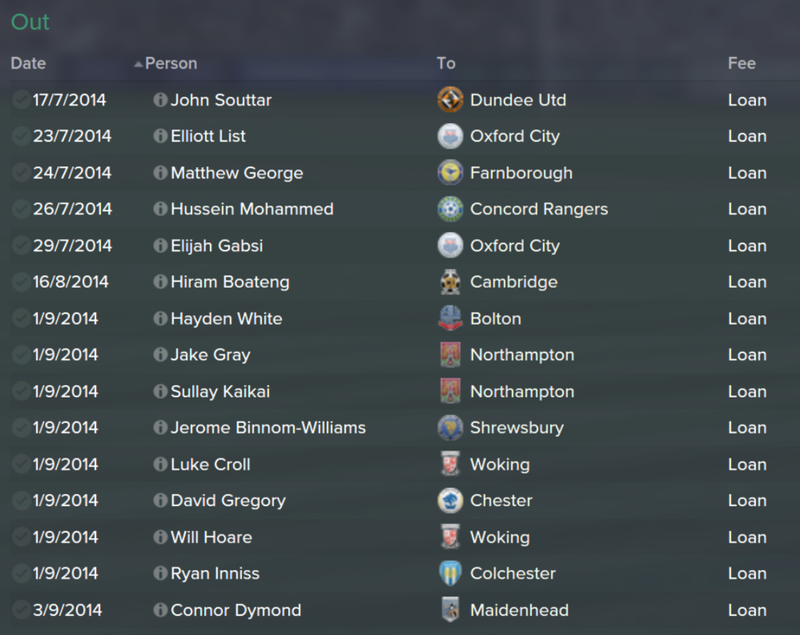 Moreover, I decided to focus on signing talented youngsters to bring them to the first squad onwards. 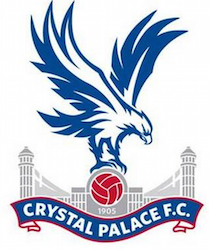 This is a part of philosophy agreed with Crystal Palace board. Unluckily, I didn't manage to sell dead weight players from U21 squad: Peter Ramage, Paddy McCarthy, Owen Garvan, Jimmy Kebe, Jerome Thomas. 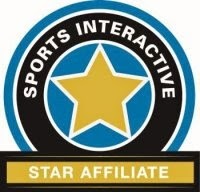 These five guys eat almost $105K per week from club payroll budget! I tried to sell them even for zero price and failed. The same failure happened with Crystal Palace Director of Football. It's pretty sad to say but it seems like a bug. Looks unrealistic when nobody wants pretty decent players transfer-listed with zero price tag. Chris was looking like a pretty obvious option to strengthen flanks. 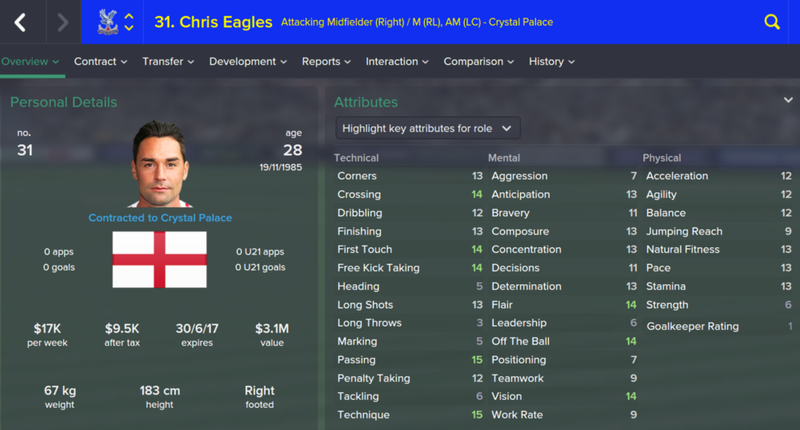 His experience should help Crystal Palace much. His versatility hints me we'll see Chris in many matches this season. Boyata's profile looked better in previous Football Managers. Nevertheless, I seize on advantages transfer deal to get this strong centre back. I think Boyata can play decently even with those uninviting levels of Composure, Concentration, Marking... Surely his place is mostly sitting at substitution bench. I did want to buy some left back to the team but didn't find a right candidate. 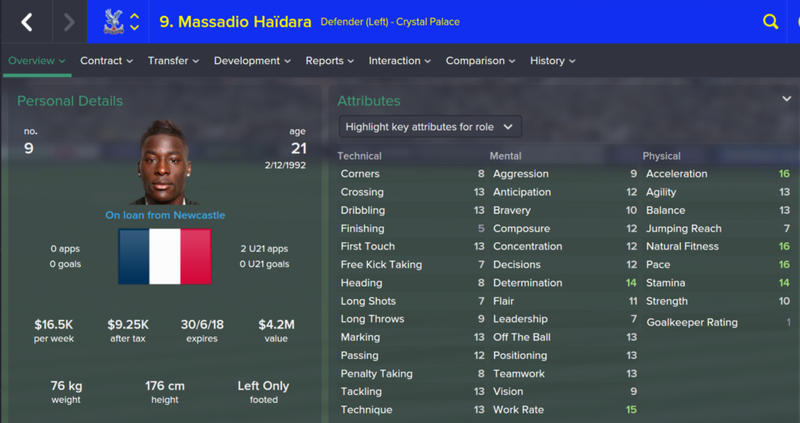 That's why I decided just to add some squad depth with Haidara and use Joel Ward as main DL in Inverted Wing Back role. Extremely determined talent! I send him back to native Dundee United to grab match experience there. Hope all of us will see him debuting in Crystal Palace starting line-up next season. 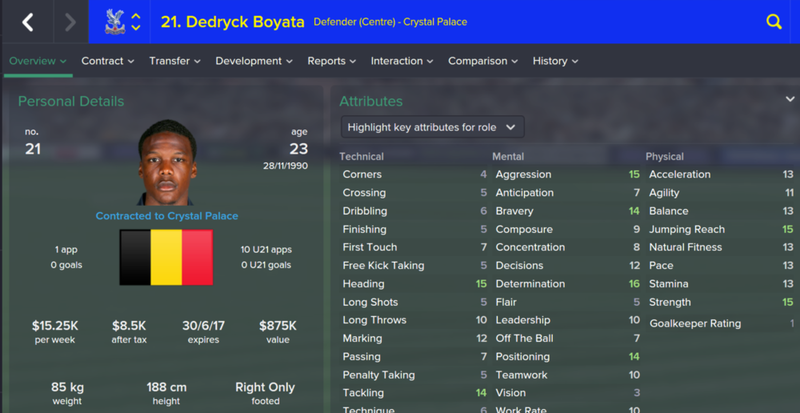 This wonderkid is able to play for Palace even now. Though I would use him as DMC but not centre back due to average physics. 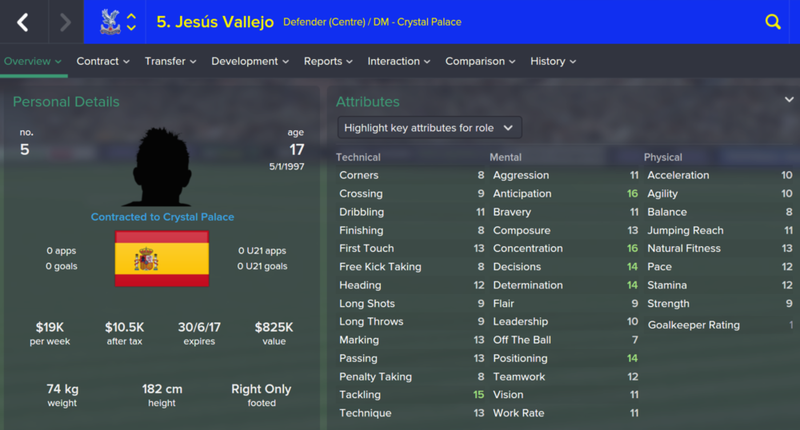 I noticed Arsenal making bid and caught Vallejo out of their deal proposing a better contract (as I guess). I got a hint to sign Coric in one of the comments at my blog. Thank you readers! I always read your comments with pleasure. Sometimes they do influence a whole FM story. 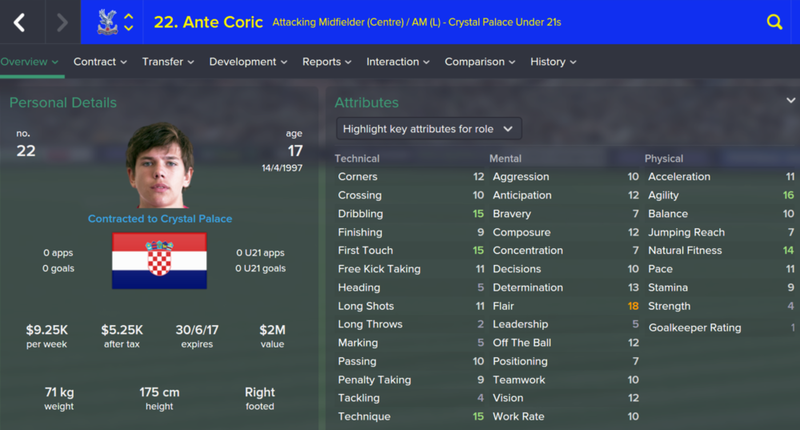 Ante Coric is already very technical player for his age. I think he can turn into a world class star in 5-6 years! 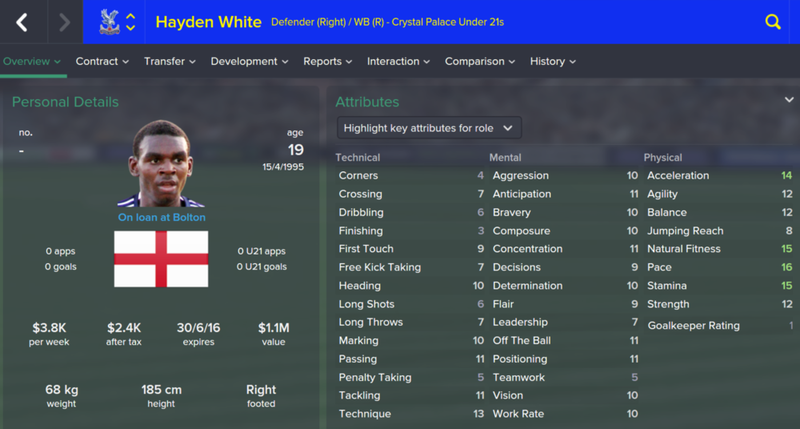 I found White looking through U21 England squad. Hope he will grow during trainings and begin competing for starting line-up in couple of years.